There are an untold number of writers, all with secret notebooks. From a few lines of poetry to short stories, novel outlines and ideas for articles addressing numerous topics, these words, thoughts and ideas remain hidden. As a writer, you will know how difficult it is to allow others to examine your words, for fear that your ideas will be derided. You may know it as a work-in-progress, but when someone points out its short coming or – even worse – laughs at it, your shrink back to where you were; your work and your words remaining hidden. There are all kinds of amazing stories, and not just about writers, who have ditched the 9 to 5 and followed their heart and their passion. It isn’t just a pipe dream; it is something you can do. But you still have bills to pay. You may not be sold on the idea of living ‘off grid’. You still want the spoils and trappings that you enjoy today. And you still can. You just need to be practical. Learning from others, how do you turn your passion into a career? Ask anyone who has turned their passion into paid employment, and this includes writers, on how they did it and somewhere in the story will be a mention of skill. Skill is the art and ability to do something. With writing, anyone can string a sentence together (almost!) but a sentence on its own doesn’t sell. Certain types of writing sell, and some do not. You need to be confident that you can write, and write well. You also need to be able to write commercially, something that a creative writing course will cover. Identifying what you know about and what you can write well about, is key to turning those hidden words in notebooks that no one knows you have, into paid and gainful employment. What skills and/or qualifications do you currently have? What interests you? Can this be part of your writing? What is missing from your writing? Would a creative writing course be the springboard that you need? Again, take time to ask anyone who is carving a career out of writing, and you will find that there was something that triggered the change. It may have been an epiphany as they sat behind their work desk, that spending the next X number of years doing the same thing, day in and day out, was not wanted they wanted to do. Or fate gave them a push. Tough trading conditions, for example, means many companies and businesses tighten their belts, meaning that for some employees, the threat of redundancy hangs over their heads. Whilst some find this stressful, others realised it was the push they needed to take a big step – and follow their passion. But before you take the leap, there are a few practicalities you need to be aware of. And one major practicality is to understand your market. Many writers tend to favour a certain genre, some of which are more popular than others. What do you like writing about? Where does your writing skills lay? And what is the commercial interest in this? Frankly, if your writing does not have a commercial element to it, it can be a very different journey to success. This doesn’t mean that everything you write needs to be mainstream. Blogs and articles can sell well, thus they pay the bills and give you the freedom you need to be able to write the stuff you really want. In other words, by day write for money, but by night write the novel you have always wanted to. Creative writing has all kinds of outlets. If you love writing a romantic romp or two, publishers such as Mills & Boon are always looking for submissions from new authors. However, your name may not be dazzling in lights, as you will probably have a pseudonym. 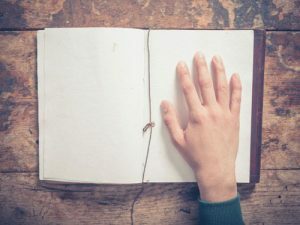 Short story submissions are also welcomed by a number of magazines and publications and can pay relatively well, although you may find that until you get a reputation and a proven track record, the pay is not fantastic. For writers, there are also freelancing websites that allow you to register for free and either showcase yourself to the world or bid on work that companies and businesses want doing. Just taking a moment to browse through the kinds of jobs businesses are asking to be completed, and the money they are willing to spend, is a great way of doing your market research. Like other people in creative industries, you need to think about how you showcase your work. The online world offers all kinds of opportunities, and one way in which you can show people your writing is to profile your work on a blog. There are several blogging sites, some free and some paid for. The idea is simple: create content, post it regularly and then if someone wants to see an example of your work, give him or her the URL. Businesses across all industries and sectors need written material, from web page content to articles or copy for printed materials. Sending out emails with links to your website will be a great way of people being able to see who you are and what you do. Pitching yourself direct to a business can be a foot in the door in many cases, especially if you are pitching to a sector or an industry that you know. Web design agencies also work with a team of writers, offering work on a freelance basis that can sometimes become regular work too. Creating content for their clients, you may need to sign a declaration that you will not approach one of their clients direct for work etc. There are various industry publications, all of whom look for content from time to time. If you have skills or experience in a certain field, why not pitch them an idea or an article? There can be payment involved but sometimes, as a writer, you need to be looking for publishing opportunities to share as part of your portfolio of work. Think of it as part of building credibility, which could lead to you commanding a higher price in the future. Increased their writing commitments slowly – working part time in a ‘proper’ job and then writing in their own time has led to many people carving out a successful career as a writer, as well as in other creative professions. Jumped – other writers just couldn’t face the feeling of not following their dreams, even when people told them they were not practical. Giving up a glittering career as a lawyer to write the paranormal magic thriller novel they had always wanted to has, for one bestselling American author, been the best move they ever made – although friends and family at the time did not consider this to be the case. Several years later, and with 17 best-selling novels to their name, they have really made a name for themselves. Like any ‘job’, writing can be tough some days. There’s the dreaded blank screen and the flashing cursor but no words. There are assignments that are not your subject, slightly dry and boring but you do them because it pays the bills. But then, there are the assignments that you like, the writing that makes the words flow and the imagination flourish. Like any other form of self-employment, you need to be pragmatic and organised. You need to manage your time and your money. You need to nurture your talent and your skill and for writers, there are times when you need to come out of your shell and be part of a supportive community. A creative writing course can be the perfect antidote to the isolation that a writer can feel. It can also be encouraging to have a supportive tutor and an online forum to test ideas. And there are things like I Love to Write Day, 15th November 2016, a chance to explore what others are writing, as well as a chance to share. You will be amazed at the number of people who write. Of course, writing is always about making money. For some people it is the release they need in a busy life and in a world where there is still so much to fix. It is a release mechanism and doesn’t mean that every writer is destined or even wants to win the Man Booker Prize.